PlantNetwork is a registered charity run by a board of trustees, supported by a co-ordinator, which operates across Britain and Ireland. encourage the highest standards of practice in all aspects of the management of plant collections and their conservation for the public benefit. Put simply, PlantNetwork exists to support gardens, arboreta and other plant collections. We encourage networking between gardens and their staff, provide training to enable staff to better manage plant collections and associated resources, and facilitate information exchange. Anyone with an interest in horticulture is welcome to join PlantNetwork but you will benefit most if you have a professional interest in horticulture or are an organisation who own or manage a garden for botanical, horticultural, heritage or tourism purposes. Personal membership for one person who might be a sole gardener, student/staff at higher and further education establishments, independent grower, horticultural/arboricultural consultant, or working in an associated industry (landscaper, designer, architect, engineer, etc.). Institutional membership for a garden or organisation (including Friends’ groups), allowing staff and volunteers working in one or multiple gardens to access the benefits of PlantNetwork. We welcome applications from outside Britain and Ireland as well, at personal or institutional level. If you would like to discuss membership, please contact the PlantNetwork Coordinator. What are the benefits of joining PlantNetwork? Many horticulturists work alone, especially if working in specialised areas, or in small groups. PlantNetwork expands the network, breaking down barriers and allowing horticulturists to access support in their work with plant collections. Information is shared across the network every week through an e-newsletter and there are up to ten training, information and networking days every year at locations around the country. For more information about the benefits of membership, see Benefits of Membership. To join PlantNetwork, simply visit the Join PlantNetwork page. It all started in 1994 when Peter Wyse Jackson, Timothy Walker and David Ingram invited a selection of people involved in maintaining plant collections to a meeting at the University of Oxford Botanic Garden. The purpose of the meeting was to discuss the establishment of a new network of plant collections. Such was the success of this initial meeting that a workshop at the Royal Botanic Garden Edinburgh in October established PlantNet: Plant collections network of the British Isles. Rob Mars, Director of Ness Botanic Garden, was the Chair of the working group of 12 people tasked with developing Plantnet, and Judy Cheney, from Cambridge University Botanic Garden, became the Administrator. 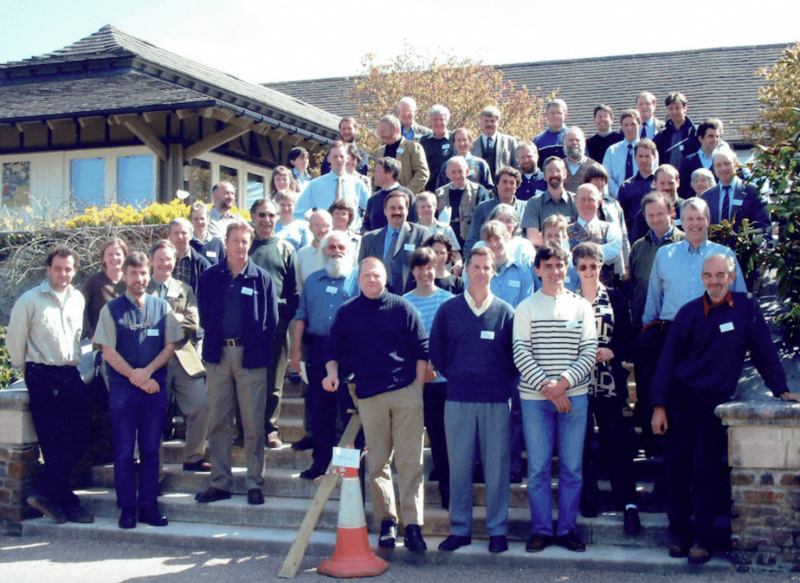 PlantNet was launched in 1996, providing technical training days, conferences and information exchange through the PlantNet newsletter. In 1999, the PlantNet Directory was launched, providing details of gardens, arboreta and other plant collections across Britain and Ireland. In 2004, the name was changed to PlantNetwork but the aim and objectives remained the same: to promote and support plant collections in all forms. As at its initiation, PlantNetwork is run by a board of trustees usually comprising 12 people from gardens and other organisations across Britain and Ireland. The PlantNetwork Board direct the Coordinator who oversees the day-to-day activities of the network.